The former Manitoba Pool grain elevator in Niverville, MB, Sep 2013. Contributed by Steve Boyko. 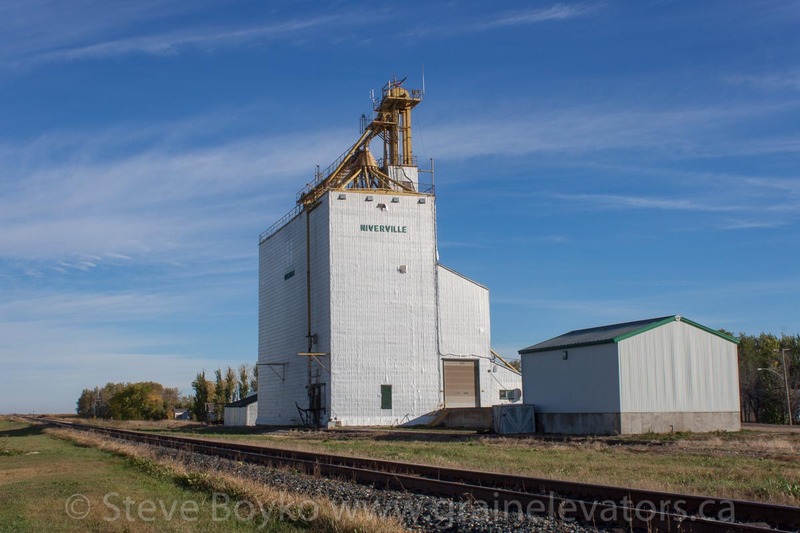 Niverville has a special place in the history of Canadian grain elevators. 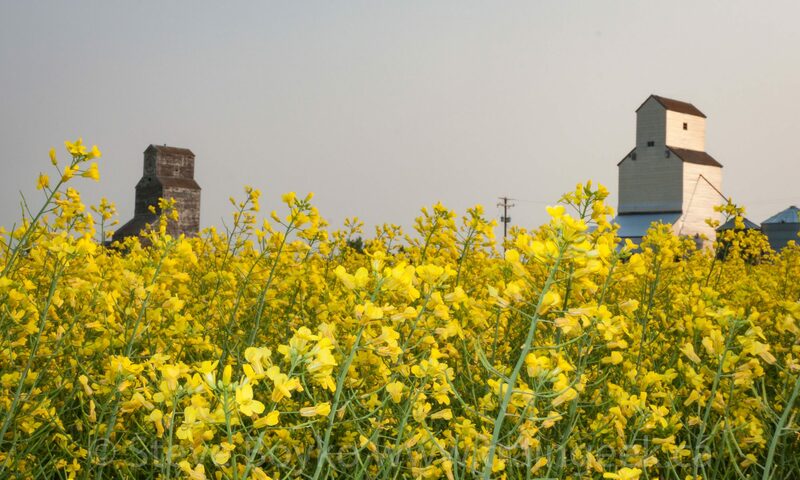 The very first grain elevator in western Canada was built in 1879 here. The elevator was built by William Hespeler and was a round structure. 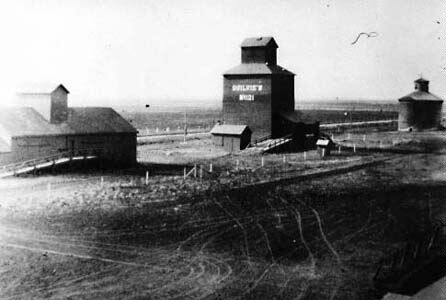 You can see it in this photo circa 1911 showing the round elevator, the Ogilvie elevator and a flat grain warehouse. According to the book Whatever Happened To…? 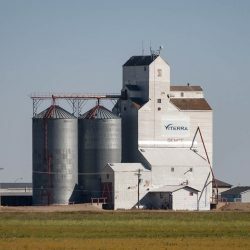 : Catching Up with Canadian Icons , the 25,000 bushel elevator was torn down in 1923 and the wood was used to build a barn in nearby Otterburne. This small fertilizer elevator was built on the site. The fertilizer elevator has since been demolished. 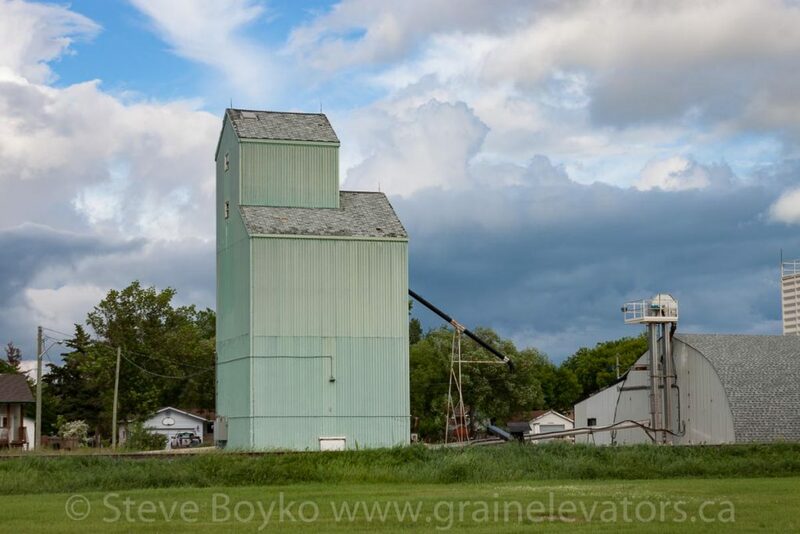 Fertilizer elevator in Niverville, MB, Jun 2014. Contributed by Steve Boyko. In September 2014, the grain elevator received a new logo for Artel Farms. 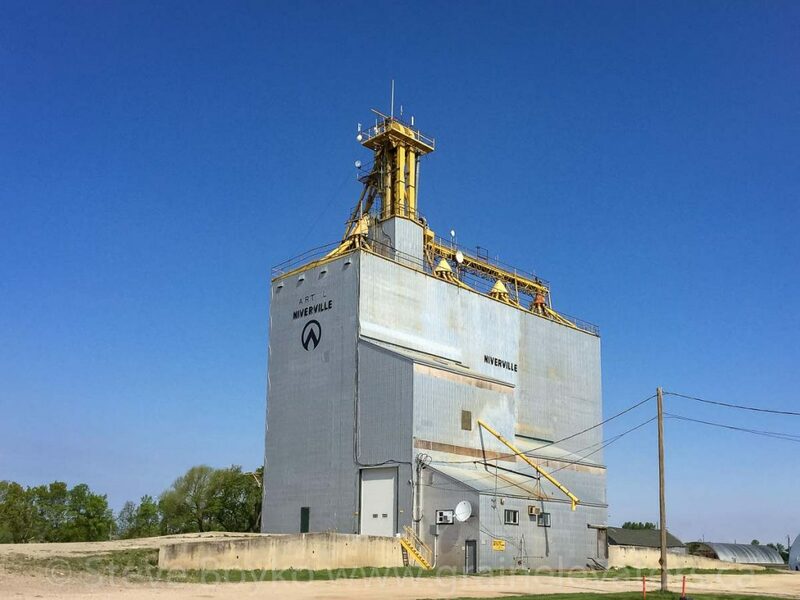 Artel grain elevator in Niverville, MB, May 2018. Contributed by Steve Boyko. Niverville is next to the CP Emerson subdivision, which sees a number of freight trains every day. 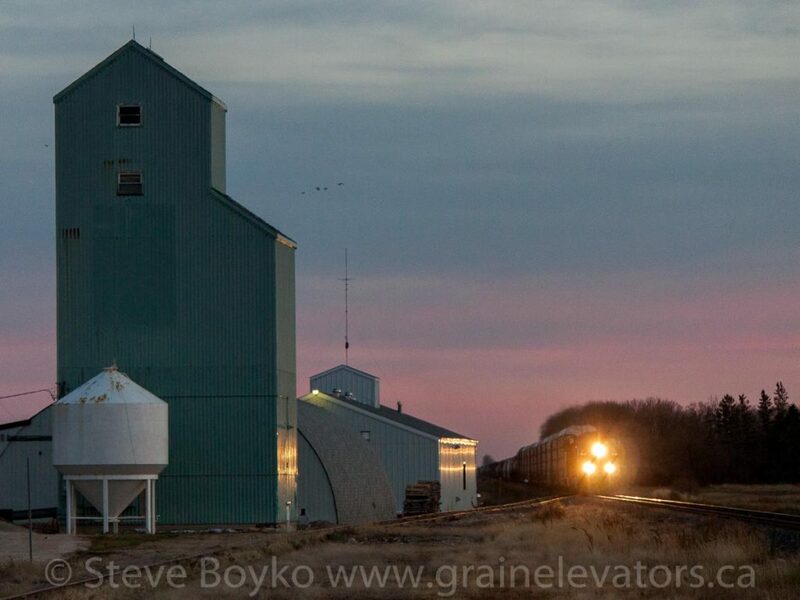 A Canadian Pacific Railway freight train rolls past a grain elevator in Niverville, Manitoba. This image shows two former Manitoba Pool grain elevators in Niverville.